The most common challenge every sales professional must overcome is not indecisive customers, inferior products, or innovative competitors. It’s the discomfort you feel when initiating calls, dealing with difficult customers, and asking for the sale. 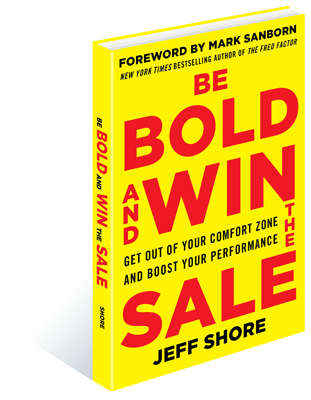 In his top-selling sales book, Be Bold and Win the Sale, sales expert Jeff Shore argues that boldness is required to embrace this discomfort and leverage it to land the sale. It is a skill that can be learned. Be Bold and Win the Sale also includes interviews with Brian Tracy, Daniel Pink, Larry Winget, Linda Richardson and many others. Sales managers like to make sure their sales team is armed to the teeth with all the latest and greatest tools, tricks and techniques. Those are all great, but if the salespeople don’t have the winning attitude to go with them, their success is going to be limited. 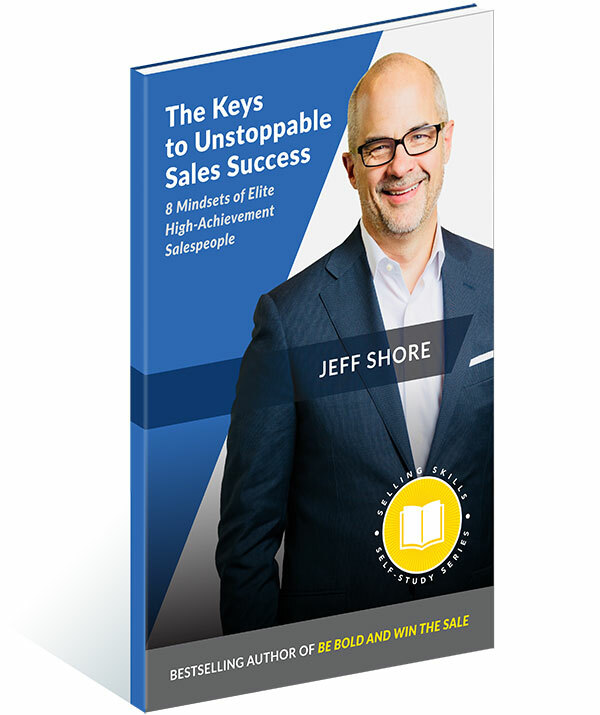 This eight-chapter, week-by-week study guide provides its readers with an unstoppable sales mindset—the mentality, attitude, and outlook necessary to achieve the highest possible results. Our elite sales leadership clients are raving about this quick-hitting, highly tactical sales training book. It’s their “secret weapon” for overcoming even the toughest sales objections so that you and your team can close more sales, faster. 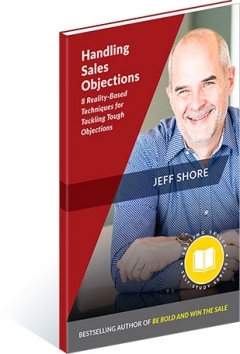 Handling Sales Objections is an eight-chapter, week-by-week study guide that provides sales leaders with training for sales meetings. And it provides sales professionals with the techniques to turn objections into opportunities to advance the sale. 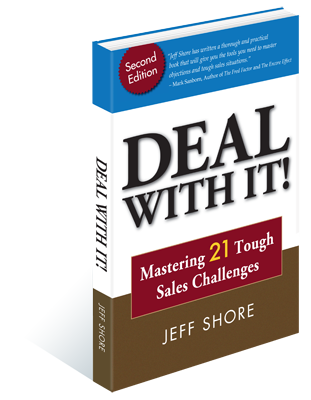 Jeff Shore’s sales book, Deal With It!, is written for sales professionals who are looking for an added edge in earning the extra sales – the tough sales. Endless negotiations, obsessing over incentives, buyer’s remorse-every sales professional has its share of daunting customer interactions. 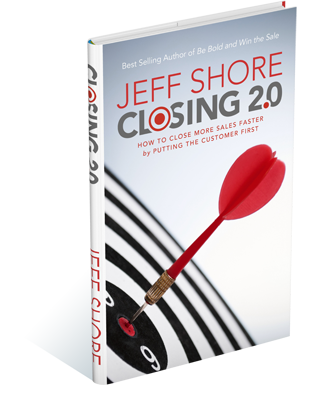 Jeff pinpoints 21 of the most common sales challenges-and turns each one into a high-yield opportunity. In this indispensable sales book, you will learn how to deal with needy, indecisive, or argumentative customers, how to handle multiple prospects at a time, and how to close the sale, whether it’s the first visit or the fifth. Deal With It! is a valuable reference tool. Don’t be caught in a tough situation without it! Something in your clients’ lives isn’t working for them right now and they need a fix. They’re on a mission…a mission to improve their lives. Your job is to connect to that mission so deeply that the path to the sale literally roles out right in front of you. 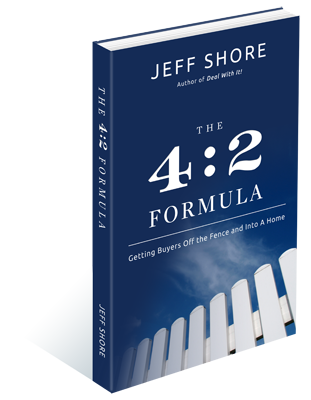 The 4:2 Formula gives you proven strategies for discovering your clients’ needs and providing solutions that will change their world. You’ve made great sales in a strong market—but what about when the market is tough? 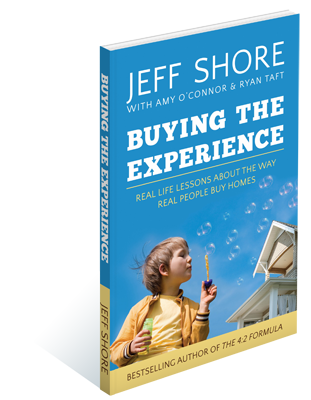 Jeff Shore blazes a new trail for sales counselors with techniques designed specifically for the most difficult markets! Real estate sales pros know they must be equipped to sell in an up market or a down market. 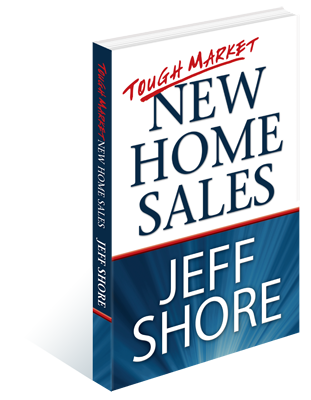 This real estate sales book from Jeff Shore walks you through the fundamentals for succeeding in a tough market so that you can gain market share while others struggle to maintain their status quo.